STUNNING OCEAN VIEWS! Must see this magnificent 3 bedroom 3.5 bath – over 3000 sf apartment at TRUMP Hollywood. This beautiful apartment was professionally designed by Ray Lee M. Interiors and equipped with modern kitchen, built in sound system and electronic shades. This 5 star amenity rich building has breakfast room, cigar lounge, wine room, theater, fitness, concierge, Resort style pool and beach service with restaurant and beverages. 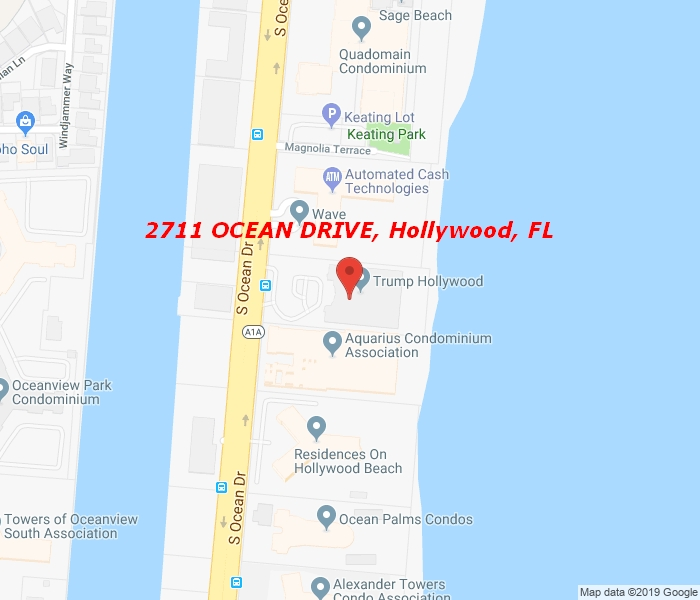 Tenant occupied until 4/30/2019 – Also for Sale.